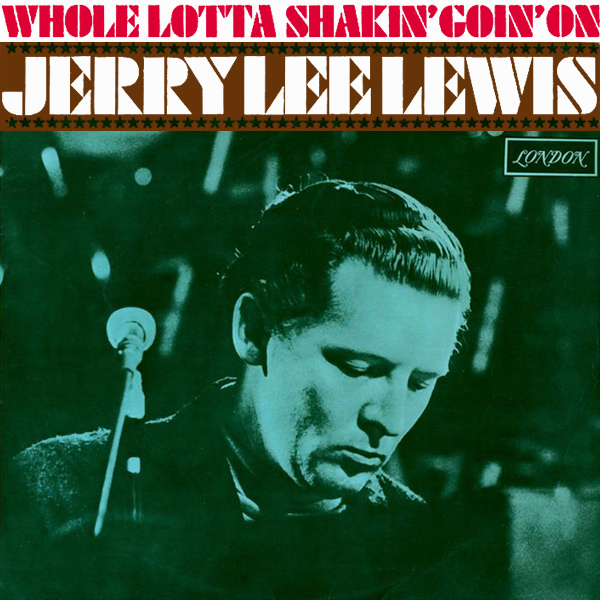 It Is Such A Good Night to scooba-di-doo, that's not in question from this song apparently by Charlie Steinmann Orchestra, though some sources give the song as being by Heisenberg and the Alberquerque Kingpins. 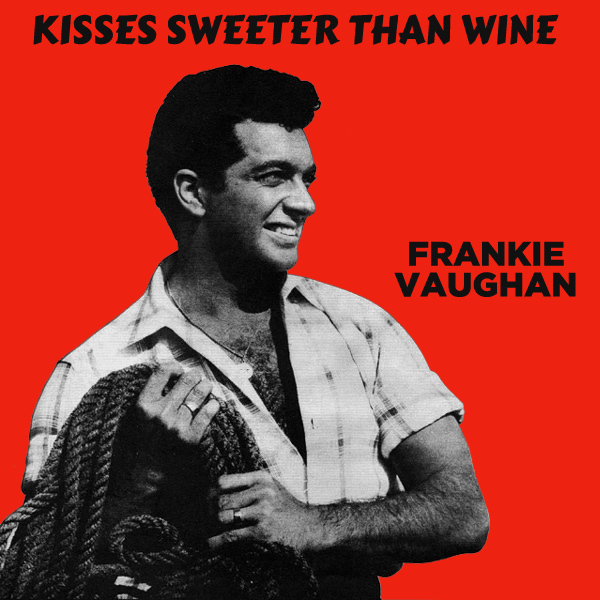 Either way, fans of Breaking Bad will no doubt recognize the song and may wish to replace the original cover artwork which shows a fifties pinup with the remix which shows a more modern pinup, holding a glass of wine. It would be a good night to scooba-di-doo that is to be, or not to be. Question! 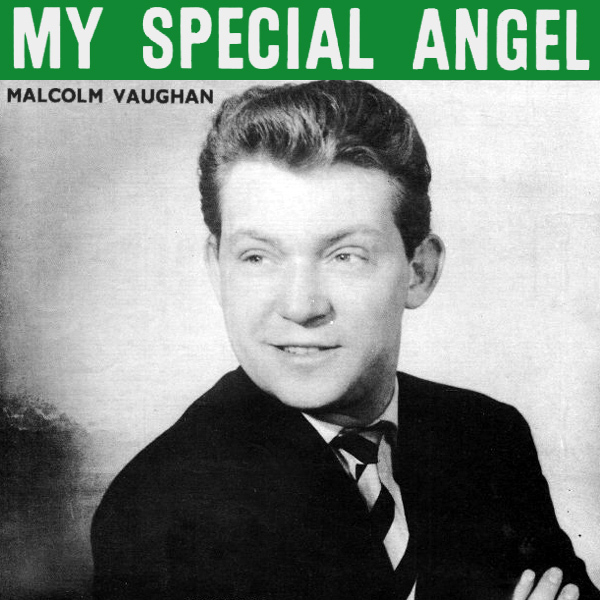 Nothing beats a good angel remix, and My Special Angel by Malcolm Vaughan is no exception. On the original single cover artwork we find Mr Vaughan looking casually over his shoulder at something but no sign of any angels. On the remix we find a special angel. We know she is special as her wings are black and as everyone knows, only fallen angels have black wings, the rest are white or thereabouts. Soar! 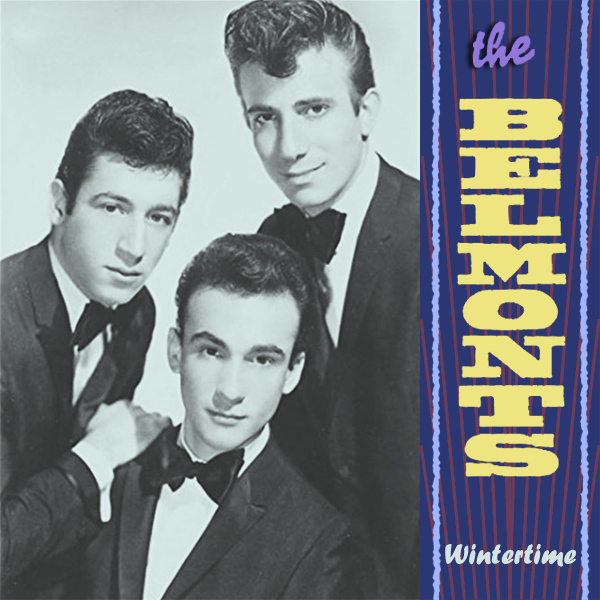 OK, so it's not yet Wintertime, neither in the northern nor southern hemispheres, but here in the northern part, it's beginning to get quite cold and so this remix of The Belmonts seems appropriate enough. 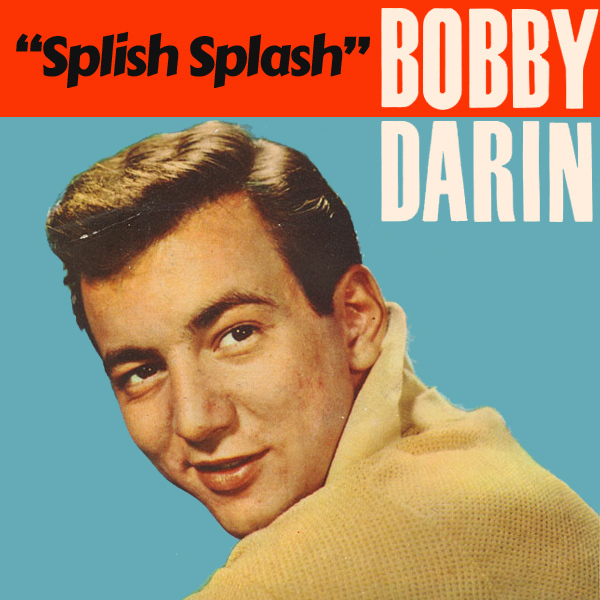 On the original single cover artwork we find the band members looking quite dapper in their bow ties, but not very wintery. On the first of our triple-play remix, we find a babe who is wearing highly inappropriate attire for the wintertime scene she finds herself in. On the second remix we find a babe who at least tried to dress warm but who seems to have had her furry coat come unbuttoned. Attempting! 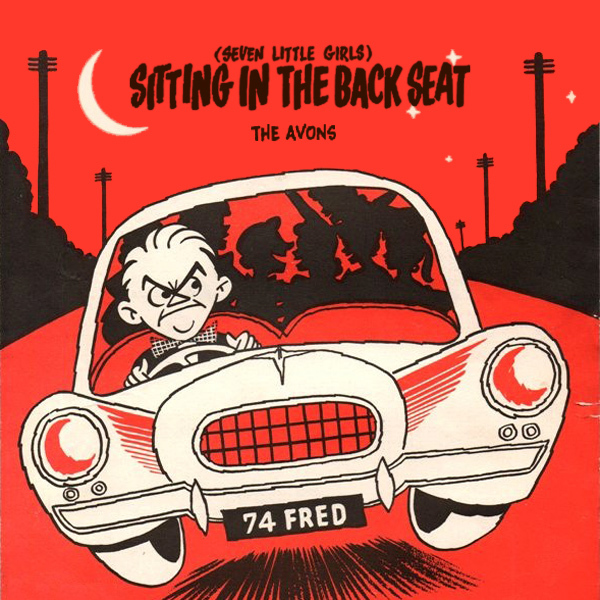 (Seven Little Girls) Sitting On The Back Seat is what The Avons tell us is happening and to give them credit, the cover artwork for their single does show the scenario, though the girls themselves are not clearly defined. Also, how exactly seven girls can sit in the back seat of a car is also confusing. Although the remix doesn't solve the seven girls on one seat issue, it does shows us a more close up view of the girls in question. They seem like a cheeky bunch. Fred! 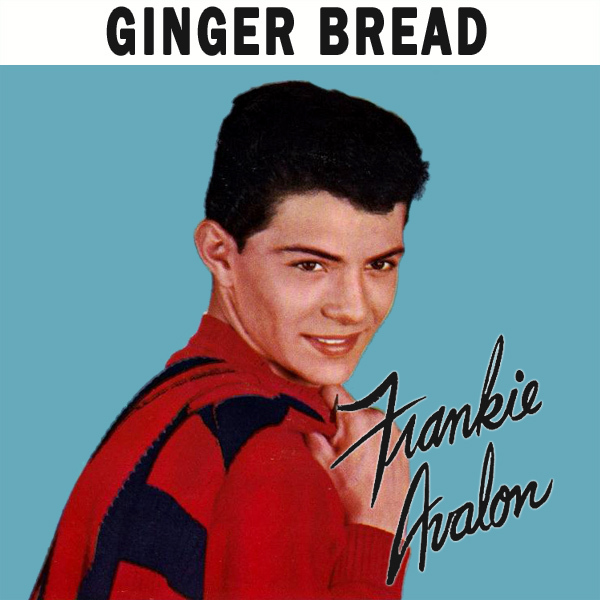 Whether you write it Ginger Bread (as 2 words) or Gingerbread (as 1 word) makes little difference to the cover of this single from Frankie Avalon. The original artwork shows Mr Avalon looking rather dashing in his 50s style get-up. On the remix we find a babe whose nickname at school was gingerbread, on account of the color of her hair which is about as gingery as it comes. It is nice of her to show us this but we could have worked that out without her taking all her clothes off. Revealed! 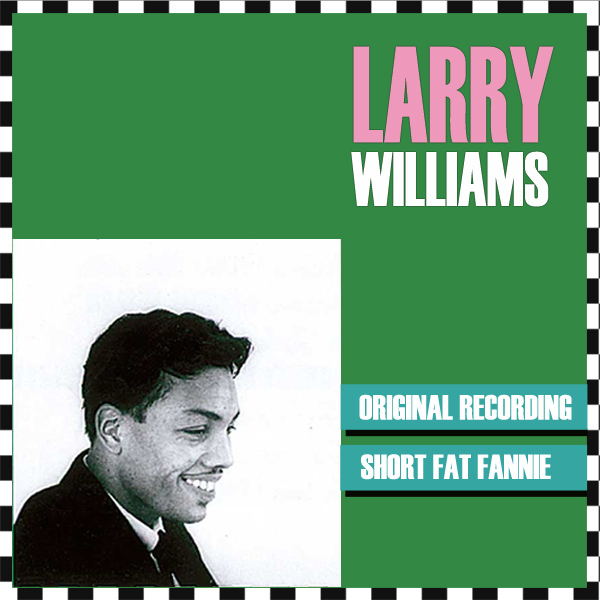 Larry Williams sings of a Short Fat Fannie. 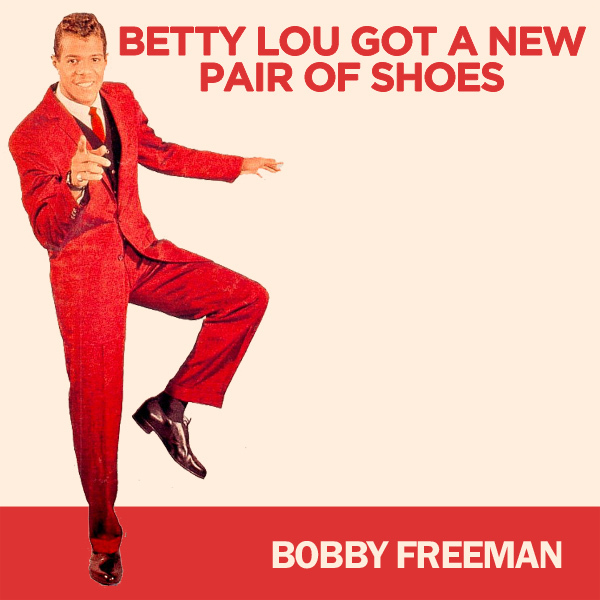 But on the cover of his original recording, there is only Mr Williams to view with no help constructing a mental picture of what Fannie might look like. If it weren't for the title we wouldn't even know how tall or plump she was. Thankfully the remix solves this problem and we can see what Fannie looks like. Perhaps not surprisingly, she is short and rather chubby, just like Mr Williams suggested. Coherence!